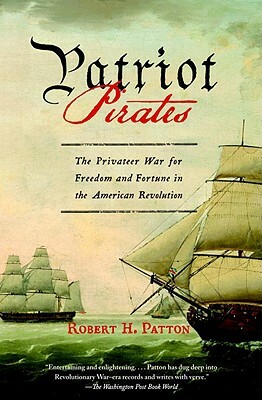 In this lively narrative history, Robert H. Patton, grandson of the World War II battlefield legend, tells a sweeping tale of courage, capitalism, naval warfare, and international political intrigue set on the high seas during the American Revolution. Patriot Pirates highlights the obscure but pivotal role played by colonial privateers in defeating Britain in the American Revolution. American privateering-essentially legalized piracy-began with a ragtag squadron of New England schooners in 1775. It quickly erupted into a massive seaborne insurgency involving thousands of money-mad patriots plundering Britain's maritime trade throughout Atlantic. Patton's extensive research brings to life the extraordinary adventures of privateers as they hammered the British economy, infuriated the Royal Navy, and humiliated the crown. Robert H. Patton graduated from Brown University and Northwestern University. He is the author of The Pattons: A Personal History of an American Family. Patton lives with his wife and family in Darien, Connecticut.